WASHINGTON (Reuters) - Fiat Chrysler Automobiles NV will recall about 965,000 gasoline-powered vehicles in the United States and Canada that do not meet emissions standards and will replace their catalytic converters, officials said on Wednesday. The recall, reported earlier by Reuters, was prompted by in-use emissions investigations conducted by the Environmental Protection Agency and in-use testing by Fiat Chrysler as required by U.S. regulations, the agency said. The recall covers nearly 863,000 U.S. vehicles and 103,000 Canadian vehicles, Fiat Chrysler said. Fiat Chrysler said in a statement the EPA announcement "has no safety implications. Nor are there any associated fines." The automaker said testing of vehicles on the road showed a deterioration in the performance of the catalytic converters. The company declined to estimate the cost of the recall, only to say it had accounted for the costs in the fourth quarter of 2018. 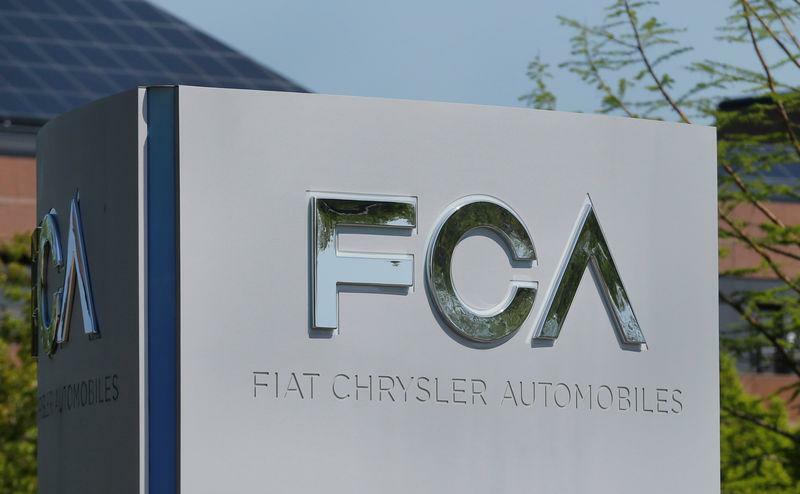 "The issue was discovered by FCA during routine in-use emissions testing and reported to the agency," the company said. "We began contacting affected customers last month to advise them of the needed repairs, which will be provided at no charge." Its U.S.-traded shares were down nearly 1 percent. EPA Administrator Andrew Wheeler said the agency welcomed the voluntary recall. Fiat Chrysler owners can continue to drive their vehicles, the government said. The EPA said the recall will be done in phases this year due to the large number of vehicles involved and the need to find supplies of catalytic converter. The California Air Resources (CARB) Board said 50,000 California vehicles must be repaired, or drivers "will not be able to register their vehicles." California and Fiat Chrysler said the vehicles emit nitrogen oxide (NOx) pollution above regulatory limits. California said Fiat Chrysler's "own data and test results confirmed that the catalytic converters in these vehicles were malfunctioning." NOx emissions in California are a major contributor to ambient ozone and to fine particulate matter pollution, which is associated with asthma emergency room visits, increased hospitalizations due to exacerbated chronic heart and lung diseases, and other serious health problems, CARB said. In January, Fiat Chrysler agreed to a settlement worth about $800 million to resolve claims by the U.S. Justice Department and the state of California that it used illegal software to produce false results on diesel-emissions tests. It is awaiting the outcome of a criminal probe. The hefty penalty was the latest fallout from the U.S. government's stepped-up enforcement of vehicle emissions rules after Volkswagen AG admitted in September 2015 to intentionally evading emissions rules.